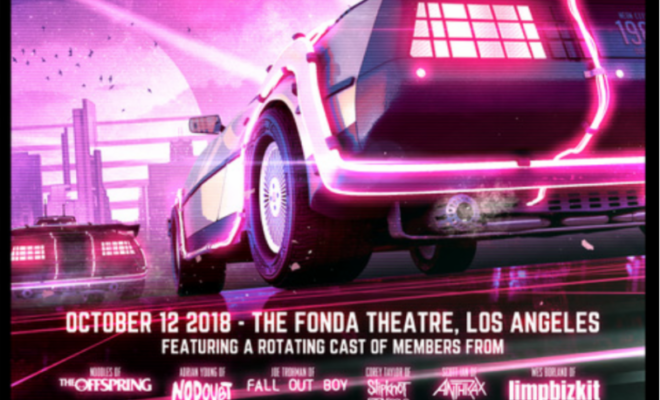 Charity Bomb is proud to announce Strange 80s 2, the second annual benefit concert set to take place on Friday, October 12th at the Fonda Theatre. In collaboration with Finn Wolfhard of “Stranger Things,” Strange 80s 2 will feature performances by a rotating cast of rock stars & celebrities covering the timeless anthems of the 80s! Tickets for Strange 80s 2 will go on sale to the public on Friday, June 8th at 10am PT, with VIP tickets being sold at a later date via CrowdRise. All proceeds will go to 320 Changes Direction, serving those who suffer from mental health, depression and addiction issues. ← Previous Story The ULTIMATE Star Wars Experience Coming 2019 To Chicago! Next Story → VooDoo Releases Their 20th Anniversary Festival Lineup! Taylor Swift Writes A Letter To Apple! My Soundtrack Feature- WE NEED YOU!